VASHON ISLAND — After retiring from a world of crunching numbers for more than 30 years, Virginia decided to devote more of her life to color. Ever the artist, Virginia has always occupied her hands with some craft — sculpting, knitting, needlepoint and weaving have all been passions of hers at one point or another. 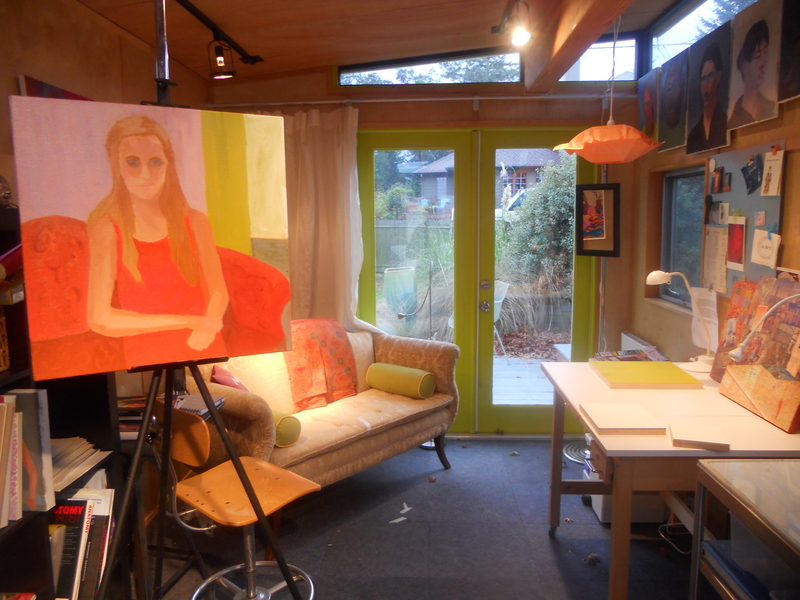 But it wasn’t until she retired from a career in accounting (she’s worked in the oil and telecom industries, and most recently worked for the literary nonprofit Seattle Arts & Lectures) that she decided to get serious about her art. 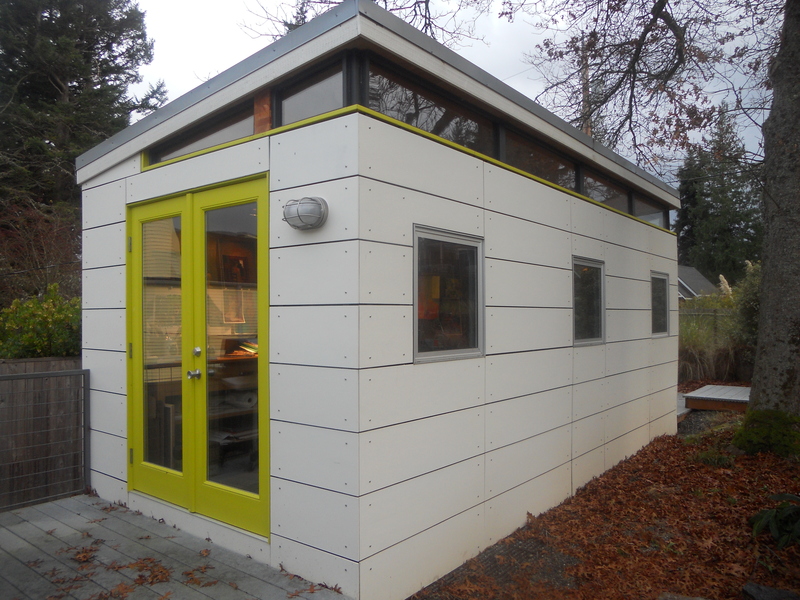 The only problem was, she didn’t really have the space in her Vashon Island home to get that serious. 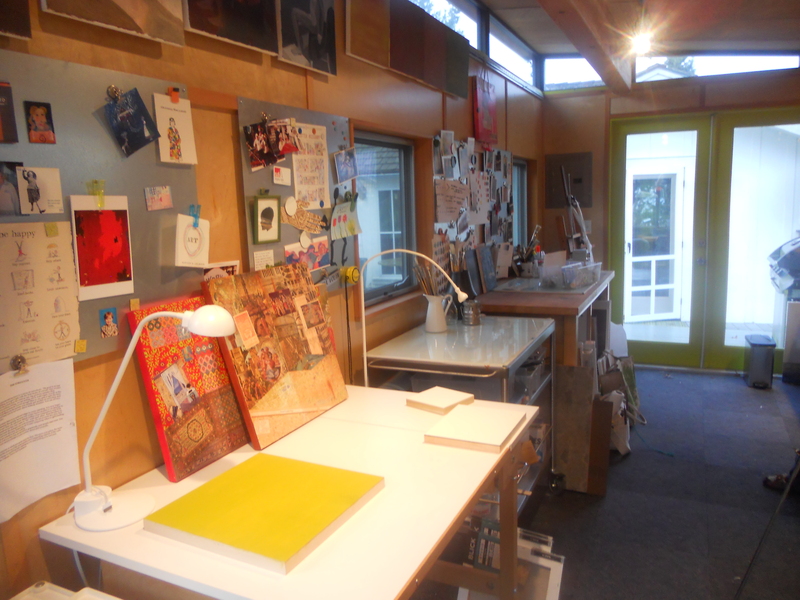 Virginia and her husband thought about adding onto their home, but knew that after zoning and permitting, they’d be lucky to see a new studio within the year. Virginia remembered seeing an article about Modern-Shed in a magazine, and then encountered the sheds again last year at the Northwest Flower and Garden Show in Seattle. The instant gratification of having the shed right away appealed to Virginia enormously. 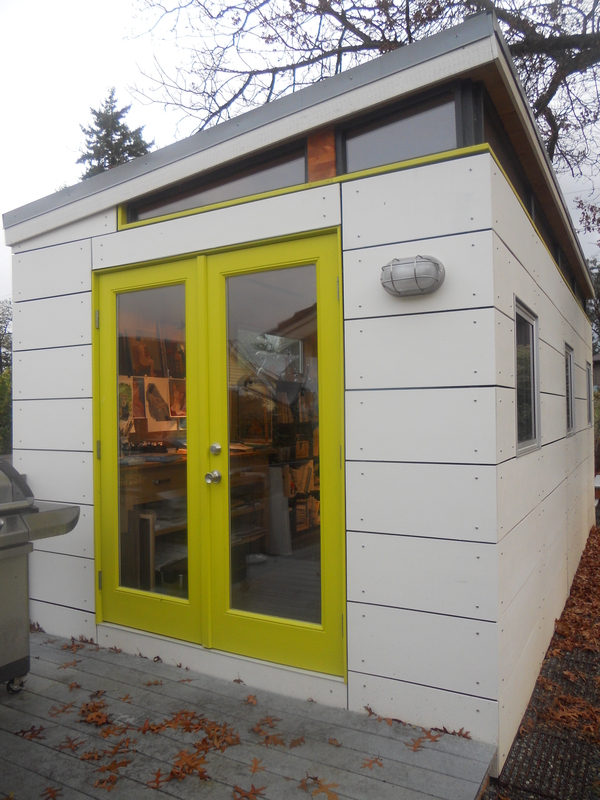 The 10’ by 20’ shed is also very energy-efficient, which also attracted Virginia to the model. But most importantly, the shed has afforded Virginia the time and space to get in tune with what really matters to her. She now takes classes at the Gage Academy of Art in Seattle, as well as private lessons in West Seattle to focus on her favorite medium, oil-painting. moder sheds is good idea…..